If you have been around CrossFit, weightlifting or most other fitness sports for the last 10 years than you are probably aware of Marc Prop. The company has become the world's leader in personal electronic stimulation devices that improve recovery, conditioning, performance and provide pain relief. 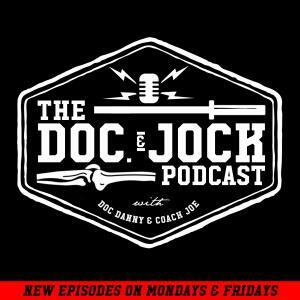 On Episode 200 of the Doc and Jock Podcast, Coach Joe sits down with the founder of Marc Pro, Ryan Heaney, to talk about how the company's devices can benefit everyone from pro athletes to pro Mom's and office workers.